A Strange Message from Another Star (1998-2002) is a story of Paavo Rahkonen, a 72 year –old Finnish-American amateur space shuttle designer, whose life-long desire has been to leave the Earth and settle down on another planet: “If I only could find another planet in space where human beings could live in peace, I’d go there”. Paavo’s utopian dream has roots in the early years of space research of the 1940s as well as in the moral need to find an alternative to the destructive behaviour of humankind in the shadows of the Second World War. 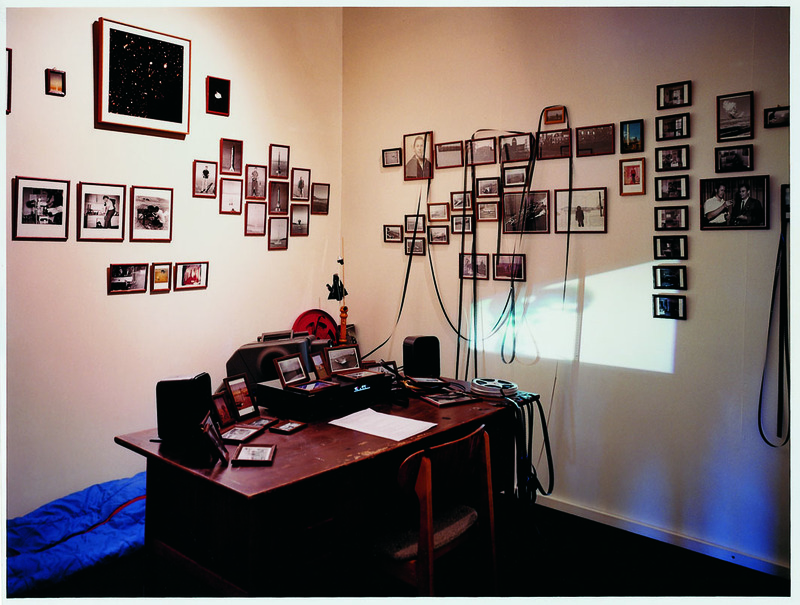 In an installation with the same title the film ‘disappears’ to the background in a shabby room full of objects from Paavo’s real home laboratory on the edge of Nevada prairie.